This is one of the oldest surviving things I’ve written in my life–a story I wrote in high school, set in the universe that eventually became the setting for the Rebels of Adalonia novels. I turned this in in class on February 6th, 1987, and transcribed it on June 14th, 1995. I posted it to annathepiper.org on June 19th, 2001. And now, on July 12th, 2015, I’m sharing it with you here. Sharp-eyed readers who have read the Rebels of Adalonia books may recognize the city of Shalridan being mentioned here. Equally astute readers will note the echoes of Tolkien’s “Riddles in the Dark” chapter of The Hobbit here, because oh my yes, I had my share of mimicking Tolkien all over the place as a young writer. On the longest day of the summer the dragons attacked Varnn. There were three of them: a blue one which breathed lightning bolts, a green one which breathed a poisonous gas, and a golden one, twice as long as the other two, which breathed hot yellow streams of flame. They came with the first light of dawn and began to terrorize the village. In that first siege they burned six houses, knocked down three more with their lashing tails, and flew off with twelve cows of the village herd grasped in their huge claws. Half a score of warriors were charred to ash while trying to fight them off; that same number were slain by the green dragon’s venomous breath. Then, just as suddenly as they had come, the dragons flew off. Panicked, the people called for a meeting of the Elders. All old men, the seven Elders of Varnn had no idea what to do about the dragons, but yet the wrath of the villagers frightened them almost as greatly. They agreed to an assembly of all of Varnn’s adult citizens, in the village meeting-hall. “Hear the brilliant Elder!” someone shouted mockingly. “Such brilliance dazzles the mind!” came another sardonic shout. “Send to the king for help!” shouted a fifth voice. The voice came from the back of the meeting-hall. Stunned, the crowd turned to see the figure standing there: a tall young figure, clad all in greens and browns, with a quiver of arrows on his shoulder and a long ash bow in his hand. As he strode purposefully to the front of the hall murmurs of surprise broke out among the assembly, for there were none among them who did not know the youth. Those nearest to the young man standing at the front of the hall saw a flush of red burn across his cheeks. It was no secret to anyone that Brendynn, as an infant, had been found in the forest and adopted by Tobas, the woodcutter. His hair, dark golden but streaked pale in places by the sun, clearly proclaimed that he had not been born of the dark-haired people of Varnn; the villagers had nonetheless accepted him as one of their own. All, that is, except Kemlir, the scornful youth who faced him now. “How, Brendynn?” came a disbelieving shout. “How good an archer are you, boy?” the fifth Elder asked doubtfully. And with that, he left. Brendynn walked without hesitation out of the ravaged village, his quiver slung across his back, his ash bow gripped tight in his hand. No one came after him; he hadn’t expected that anyone would. He knew with a sort of grim humor that all of Varnn must have decided he was mad indeed, after the announcement he’d just made. Who but a madman would think to battle one dragon, let alone three, with only a bow as his weapon? He was certain, though, that the villagers would not have understood if he’d tried to explain his intentions. They would not have belived him if he’d tried to tell them of the dream he’d had the past seven nights, the vision of a beautiful fire-haired maiden. She had spoken no word but her azure eyes had carried a message: Your fate, threefold, shall fly to you on wings of fire; brave this peril, golden youth, and find what you desire. The words had burned themselves into his mind, into the depths of his young soul. His one great desire was to find out the truth of his birth–and if he had to kill three dragons to do it, then so be it. I wonder if madness runs in my family? he thought, grinning a little, but sadly. “I am no braggart, Kemlir, and neither am I a liar.” Brendynn turned away and headed on down the path, but the dark-haired youth came after him. “Then I’ll not attempt to explain it to you.” Brendynn tried to continue on his way, but the other youth grabbed his arm. The sky was growing lighter in the east when the two companions came upon the hill where the dragons had lighted. Brendynn motioned to the other youth that they should stay downwind of the creatures as much as possible, and Kemlir nodded; then, they found a place in the bushes where they could hide and watch their quarry unobserved. When dawn had fully blossomed into morning the golden dragon stretched its wings and lifted into the air. Brendynn was somewhat relieved, for the gold dragon was the most dangerous of the three; perhaps he and Kemlir would have an easier time with the other two. As the two youths watched, the blue and green dragons roused themselves, letting out roars that sounded like faint thunder; then, the two winged beasts turned to lift into the air themselves. “Now,” Brendynn murmured, just loud enough for Kemlir to hear. The golden-haired youth pulled the first of the three red arrows from his quiver, and strung it to his bow. As quickly as he could manage he crept forth from their hiding place and aimed at the green dragon, the nearer of the two. As the creature spread its wings Brendynn breathed a prayer, and let the arrow fly. It struck home in the dragon’s unguarded neck. Howling in agony, the creature crumpled to the earth, convulsing violently, its tail lashing against trees and rocks and smashing them into fragments of dust. The blue dragon had already climbed into the air. Now, though, it swerved in its flight and dropped, circling over the hill. Suddenly it let out a thunderous roar and dived for the body of its fallen companion. A smoking ichor was streaming forth from the green dragon’s wound, but as soon as it saw the attacking blue, the green snarled and slashed at it with its foreclaws. A fierce battle ensued; with fang and claw and breath the two dragons fought, and their roars were as loud as five thunderstorms. At last the green sank its fangs into the neck of the blue, and they went rolling down the hill. Brendynn and Kemlir, scrambling from their hiding place, narrowly avoided being flattened by the tumbling bodies. The two young men looked on in amazement as the dragons reached the foot of the hill, and lay still. “Do you think they’re dead?” Kemlir asked. They whirled. Finding nothing behind them, they looked into the sky–and there was the golden dragon, its form sparkling in the light of the morning sun. It was a massive creature, nearly sixty feet in length, the span of its wings that and half again. The voice they had heard had spoken in their minds, a voice scaly and thunderous. The golden dragon circled above them, glaring down at them like a falcon eyeing two helpless mice. And then, without warning, it spat a hot yellow stream of fire, and Brendynn and Kemlir had to dive out of the way. The winged creature shot down bolt after bolt of the flame, but each time the two youths were agile enough to dodge the fiery spears. It was then that Kemlir, in mid-dodge, suddenly tripped over a half-buried rock, and went sprawling to the ground. Alarmed, Brendynn hurried to his side. “Are you hurt?” he demanded. 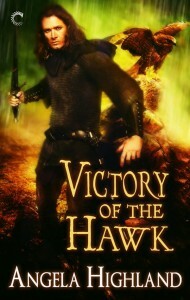 His gold-green eyes sparking, Brendynn leapt onto a boulder, strung the second arrow to his bow, and fired up at the hovering dragon. But a blast from the creature’s mouth reduced the crimson arrow to ash, and the voice of the dragon laughed in his mind. In the quest for high wisdom it comes to the fore. Brendynn stared up at the dragon, astonished–what in all the lands was it up to? But he knew better than to argue with a being who could burn him to a cinder, and so he put his mind to the riddle. “Do you know the answer?” Kemlir asked, his voice a half-groan. – Do you, human? – came the dragon’s taunting voice. Then, startling both of the youths, the hovering dragon shrieked out an ear-shattering roar, and its golden length began to blaze white-hot. Slowly the shining form began descending toward them, growing smaller, until at last it touched the earth as a figure smaller than Brendynn himself. But now it had a face framed by curls of fiery red, and eyes that were bluer than the morning sky overhead. Brendynn knew immediately that this was the maiden from his dream, but he could do nothing but stand and stare at her in disbelief. “You sent the dreams?” Kemlir asked incredulously, and Brendynn’s gaze shot to the other youth. Brendynn stared at him a moment or two, and finally smiled. “Perhaps she is–but what of my dream, Adhara?” He turned back.